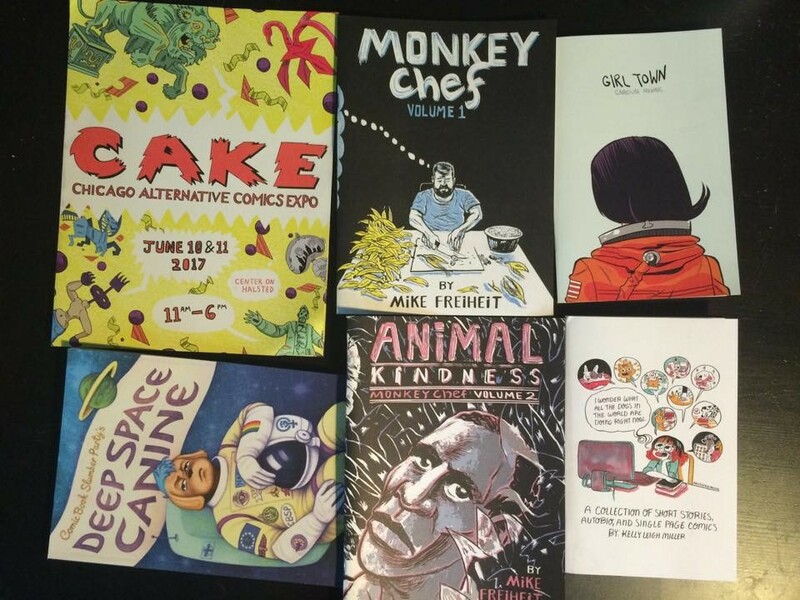 This past weekend, the Center on Halsted hosted the Chicago Alternative Comics Expo, also called CAKE! I'd always meant to attend CAKE, but for years, I kept being stupid and forgetting which weekend it was. Then last year, Aimee and I went into the Whole Foods connected to the Center on Halsted for the air conditioning (because this was back when we lived in un-air-conditioned apartments, and it was a million degrees out), and we found out CAKE was going on! What a great surprise. Stuff I got at CAKE! So I was super excited to return again this year! This post isn't going to be long or meaningful or anything. Since I'm in the middle of JuNoWriMo, and a big book review queue (more fun indie book reviews are coming SUPER SOON to this blog! One is coming tomorrow), and finishing up the end of the school year, and a few freelance assignments with quickly approaching deadlines, I figured I'd just write something quick and fun today. So you probably remember a few weeks ago, I wrote a post on supporting indie artists. That's what CAKE is all about. It's about featuring and supporting independently published comic artists! My goal is to one day have enough material to have a table there. Hopefully next year! Anyway, it's a lot of fun. 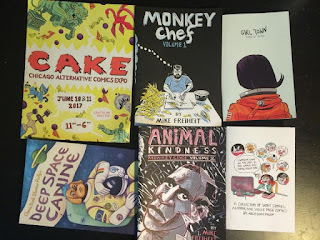 It ended on Sunday, but it'll happen again next June, and I recommend it to anyone who's a fan of independent authors and artists!